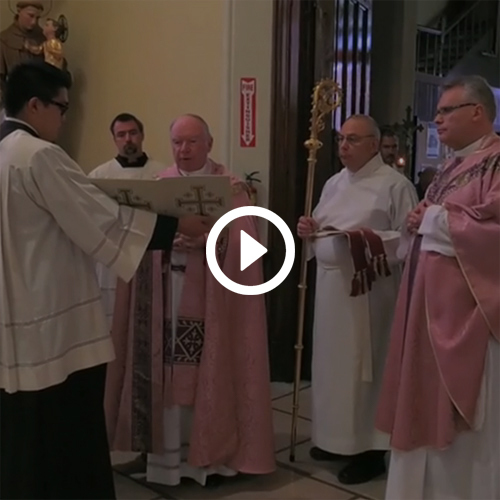 The Opening of the Holy Door for the Jubilee Year of Mercy, at the Cathedral of St. Mary of the Immaculate Conception. “We shall cross the threshold of the Holy Door fully confident that the strength of the Risen Lord, who constantly supports us on our pilgrim way, will sustain us. May the Holy Spirit, who guides the steps of believers in cooperating with the work of salvation wrought by Christ, lead the way and support the People of God so that they may contemplate the face of mercy.” – Pope Francis, Misericordiae Vultus, 4.